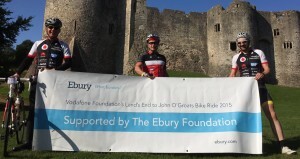 The Ebury Foundation was created to support initiatives across the third sector in the UK. We look to partner with nonprofits, non-governmental organisations and charities in order to achieve greater impact in causes domestically and overseas. We believe that serving our communities is integral to business success and part of our corporate, and individual, responsibility. Together we can overcome boundaries and support causes across the globe. The Ebury Foundation was created as part of Ebury’s larger effort to support the third sector and the vital work done for causes around the world. We work with a number of Charities and NGOs, supporting programme delivery on budget through specialist financial solutions. We’re committed to getting funds on the ground fast, efficient distribution and ensuring donations have maximum impact. This way funds always end up in the right hands. As you will have heard, a disastrous earthquake hit Nepal killing many people and affecting thousands more across the country. A second earthquake has since added to the devastation, leaving many thousands of people with homeless, uncertain futures. 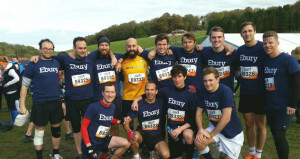 To raise money for those in desperate need, Ebury created The Ebury Foundation, set up to aid our corporate giving and CSR activities, as we continue to support the great work done by the charitable sector. The Foundation marks it’s inauguration with a donation of funds to Childreach International, who are working in difficult conditions to get lifesaving food and medicine to Nepal’s children. They have launched an emergency appeal for this cause and we urge all readers to donate and support their amazing efforts. 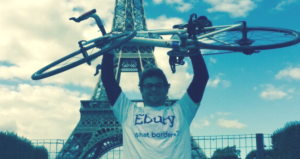 The Ebury Foundation is managed by Shared Impact, the world’s first global donor-advised fund. SharedImpact is a registered charity in the UK and Hong Kong, and a 501(c)3 Public Charity in the United States.